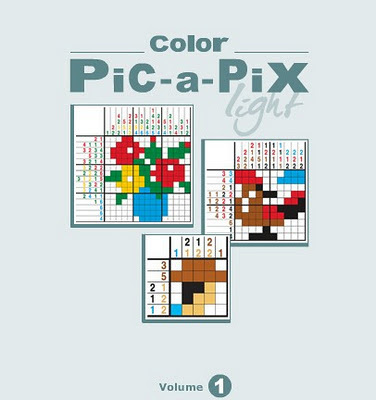 Color Pic-a-Pix Light Vol 1 is a new point and click brain teaser pixel art style puzzle game from conceptis. The objective is to reveal a hidden picture by painting blocks in each row and column so their length, color and sequences corresponds to the clues. There is at least one empty square between adjacent same colored blocks. This game features really nice puzzles in it but it does not mean that they are all easy to solve. Each of them has only one unique solution and that means there's no other way to solve them. Meanwhile, to help you find a solution I decided to collect Color Pic a Pix Light walkthrough so you don't have to and so far I got these.